Budget restrictions and fiscal responsibility are always important factors in a major purchase. How then, does one combine the assurance of a quality vehicle with a reasonable price tag? Come to our Bahrns ToyotaLift locations in Central and Southern Illinois and see for yourself the value that a used forklift can offer you. 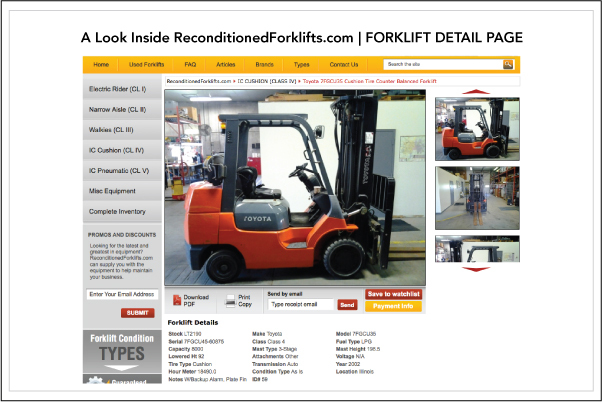 You can also see our inventory online at www.ReconditionedForklifts.com. Our inventory of used forklifts includes makes and models with capacities ranging from 2,000 to 17,500 lbs. We offer propane, diesel, gas and electric powered used forklifts with all of the amenities that are found in new forklifts. Gone are the days when "used forklift" meant "lower quality forklift". 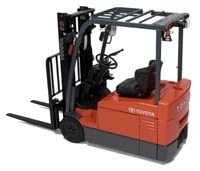 Factory-trained professionals at Bahrns ToyotaLift have years of experience and we guarantee an unparalleled level of quality and reliability with each and every used forklift that we sell. Every used forklift undergoes an extensive inspection before even being considered for sale. 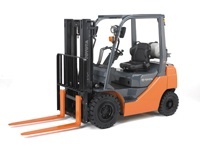 Our trained technicians perform the following checks and tests on all reconditioned forklifts. Brake check - includes inspection of the master cylinder, brake shoes, and oil seals to ensure the forklift is within OEM spec. 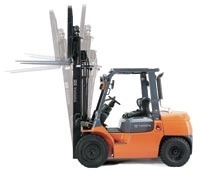 Hydraulic load test - checks the hydraulic system to ensure that the forklift can lift its rated capacity. Transmission/Engine stall test - puts the forklift through practical evaluations to test its load-pulling capacity. Load chain test - inspects the load chains to ensure that they have the proper tension, and are within spec. 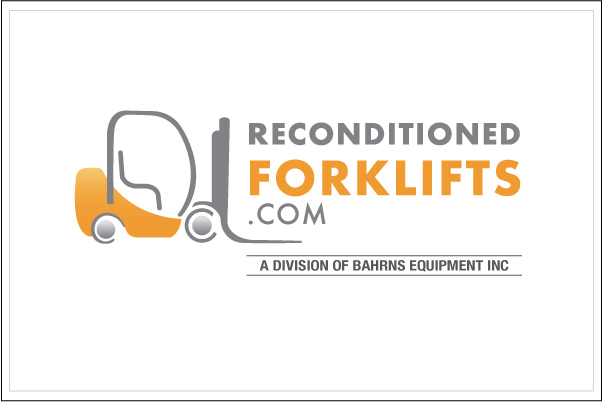 Warranties All warrantied forklifts are thoroughly checked and reconditioned by factory-trained professionals to assure that they meet our rigorous standards. All of these questions and many more must be answered with a "yes" before ToyotaLift commits to selling any used forklift. Our experienced, knowledgeable and intelligent staff cares that you receive a used forklift from us that will not only fit into your budget but will last and add to your productivity. Most every used forklift sold by Central & Southern Illinois comes with a warranty and guarantee that your piece of equipment has been thoroughly checked and reconditioned. You could look at the auctions that are held in various cities in Illinois. There will be a lot of competition, but if you're lucky, you may end up with a very good forklift for a very cheap price. More than likely, though, you won't end up saving much money over what you would be paying a private party and you won't know for sure whether or not you got a good deal or a lemon until you've used the lift truck for a while. 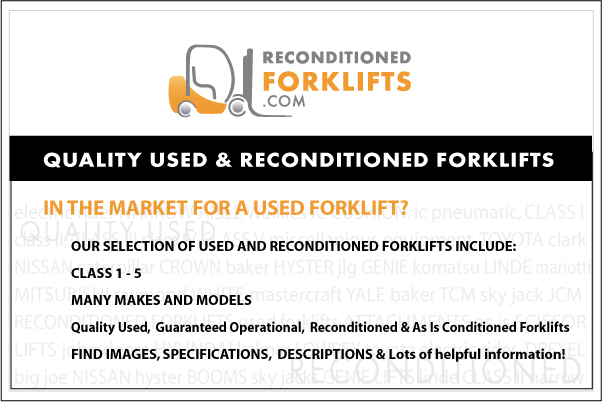 If you look online, you will probably be able to find many private enterprises are trying to sell reconditioned or used forklifts in Illinois. There are two reasons why they would be selling their forklifts: either they are worn out and need replacing or the company is in financial trouble. Obviously, you don't want to pay good money for a forklift that someone else is selling because it is nearly beyond repair or needs such extensive repairs it is not worth hanging onto. If the company is in financial trouble, would they have been maintaining their equipment as they should have over the past few years? Not likely. 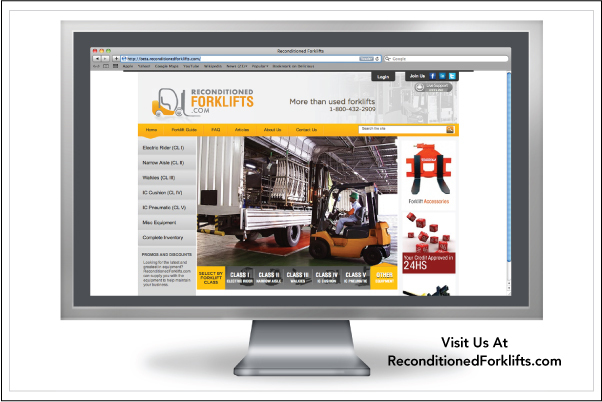 Now We'll Take a Quick Look at Our Competition - the other reconditioned or used forklift dealerships. How long have they been in business? Not many of them can boast an unbroken tradition of over 45 years in the materials handling and industrial supplies business. Not many others can tell you that they have been an authorized new forklift dealers for over 30 years. 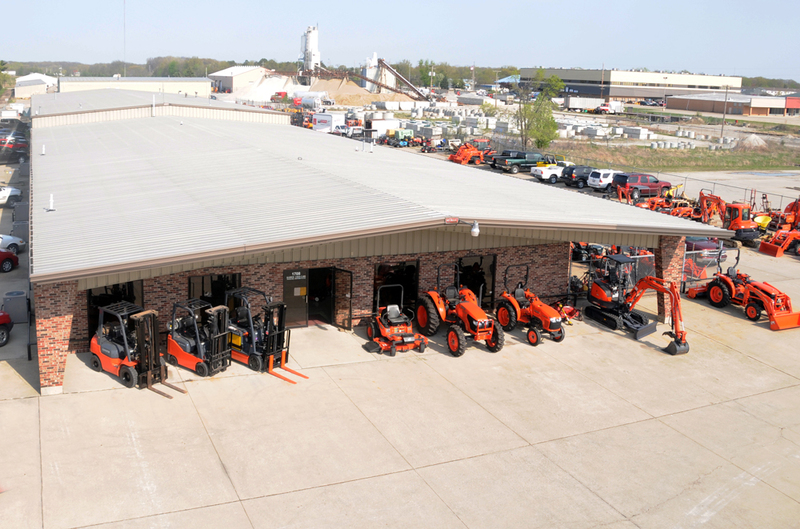 Bahrns Equipment is a Toyota forklift dealer and has a strong reputation for service, integrity and quality is known throughout Central Illinois.